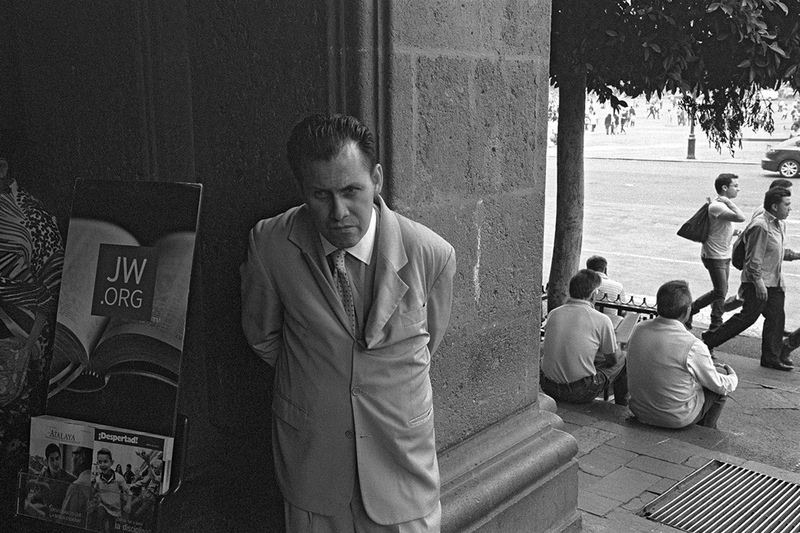 Keith Dannemiller lives in Mexico City. 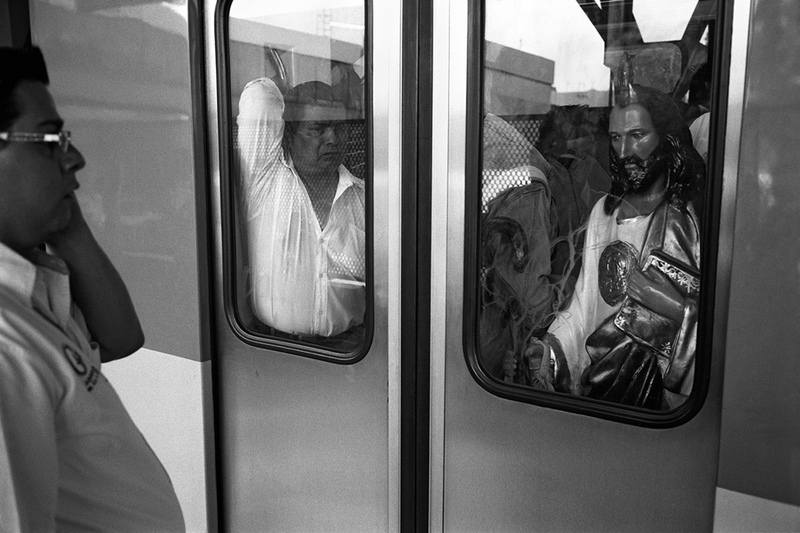 In the morning, he jumps in public transportation, sits next to a stranger and says the customary greeting “buenos dias”. 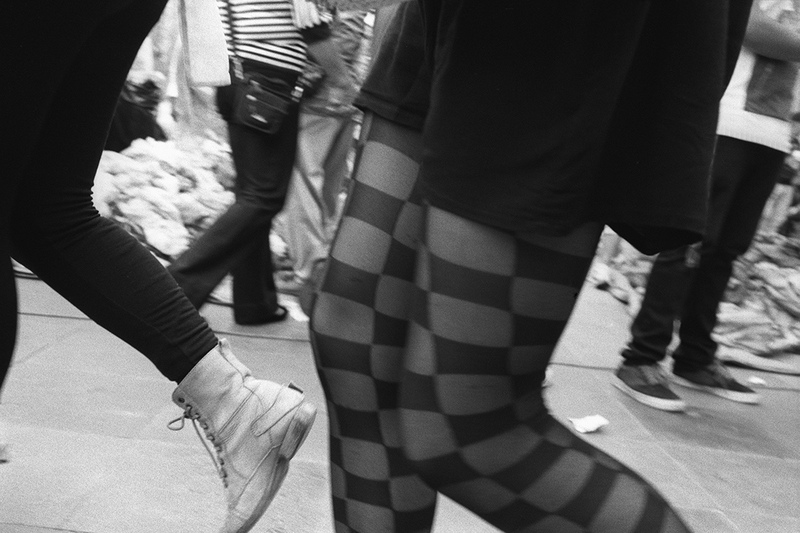 Mexico city is a place where people celebrate life and make the most of their relationships with others – strangers or not. You can see many personal interactions taking place in public spaces. 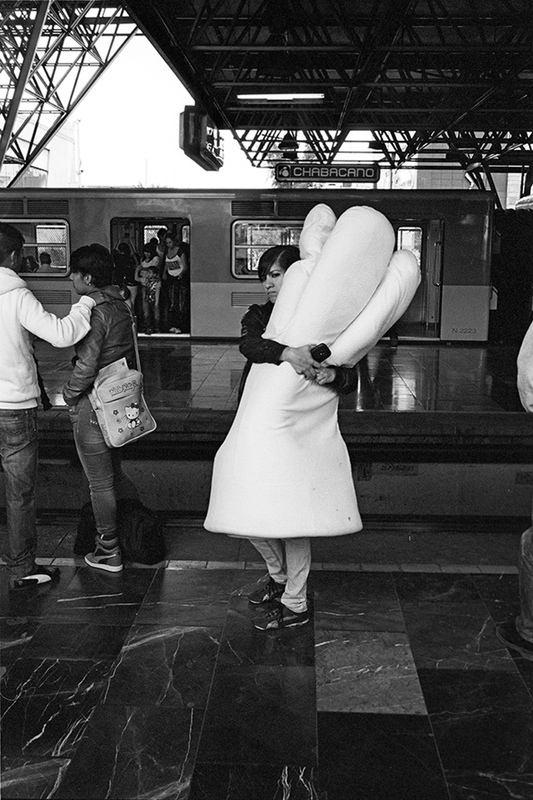 People sit or stand on the metro conversing, kissing, hugging, arguing. One reason there is such an open attitude among local residents boils down to a matter of reduced space in a crowded city. The fact of the matter is, you may not have the luxury of a backyard or even a private room and so people must learn to relate to others in the space they are given. 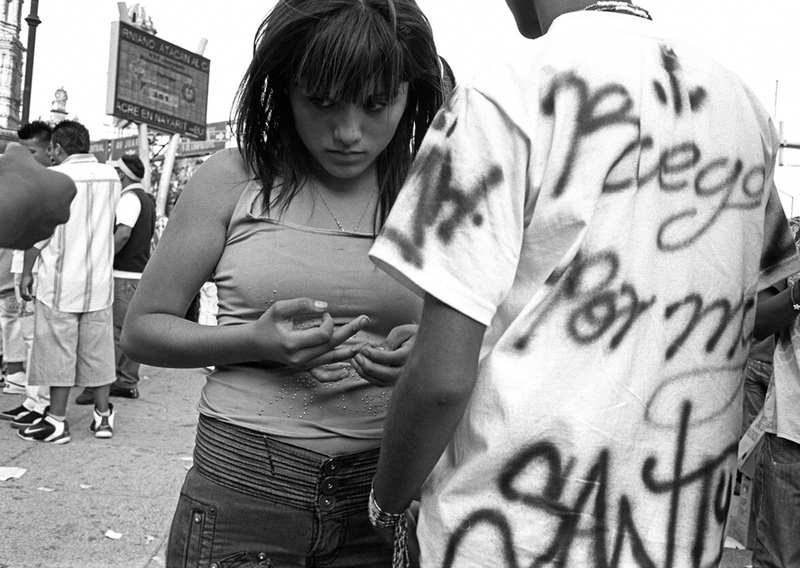 Callegrafia, roughly translated “what the street writes,” is about just that. Keith relies on the streets for his subject matter and inspiration. You could say the streets lead him. 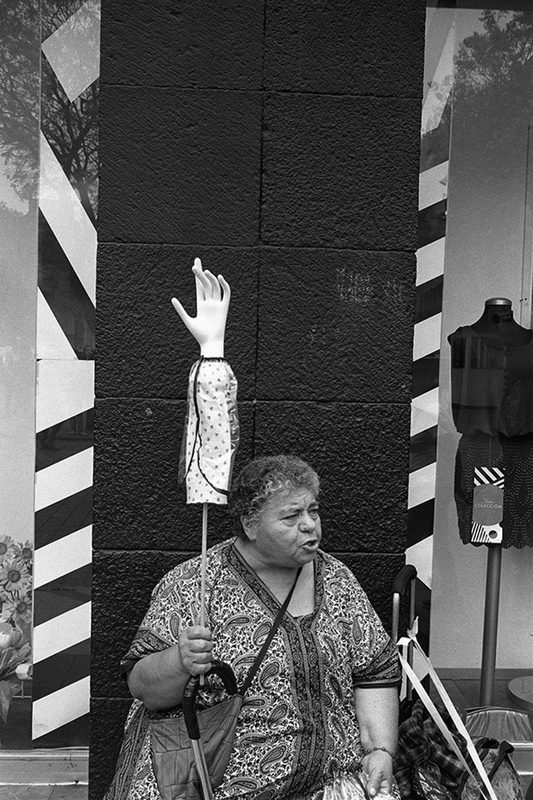 He observes life as it happens on the streets, gets close with his quite Leica, and captures. Keith says, “The name of the project is of my invention and a play on a couple of Spanish words: calle – street; and grafía – written or drawn. I use it to mean “what the streets write.” On these avenues and alleyways of Mexico City’s great Centro Histórico I walk, I watch, and I wait. That process of making photographs acknowledges the importance of the ever-changing reality out there, and how I relate to it. 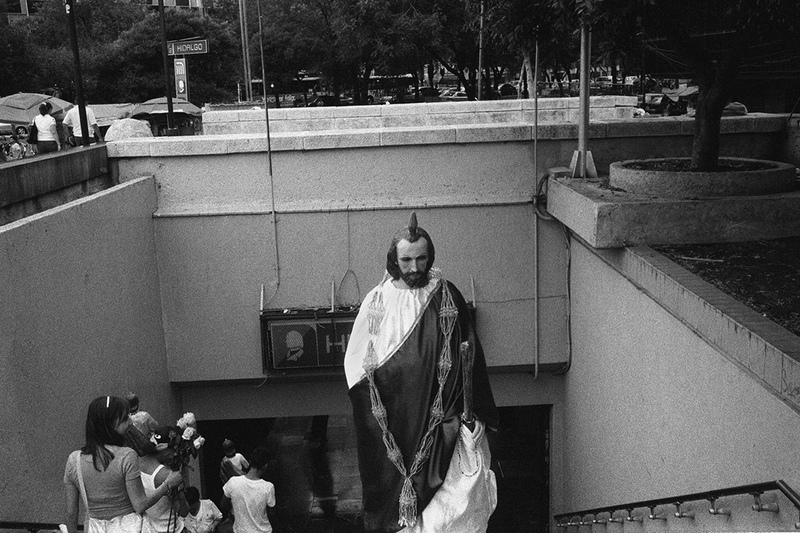 On the 28th of each month, many residents of Mexico City head to one church to pray to Saint Judas, the Saint of Lost Causes. The reasons for their supplications vary, some lack decent living conditions, some need resources for health care, but all live with a weighty sense of insecurity – one they wish to be relieved of. Keith says, “I went to Catholic elementary school in Akron, Ohio. My relation to the world in those early years of my life were shaped by and based on faith. It filtered my experience and colored my perception of society. As my world expanded, faith took a back seat. I am no longer a religious practitioner, but I realize and respect the role of faith in the lives of others. “The cult to the Catholic saint, Jude Thaddeus, happens on the 28th day of every month and reaches its height on the 28th of October, his feast day. 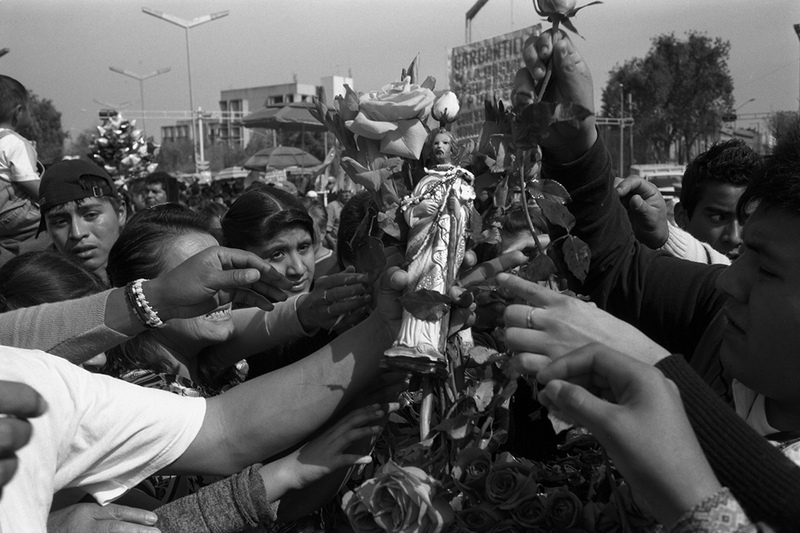 Almost all Mexicans believe in some form of fate but many also have an unswerving belief in a pantheon of saints, like Saint Jude, who successfully rectify the injustices of their individual destiny. 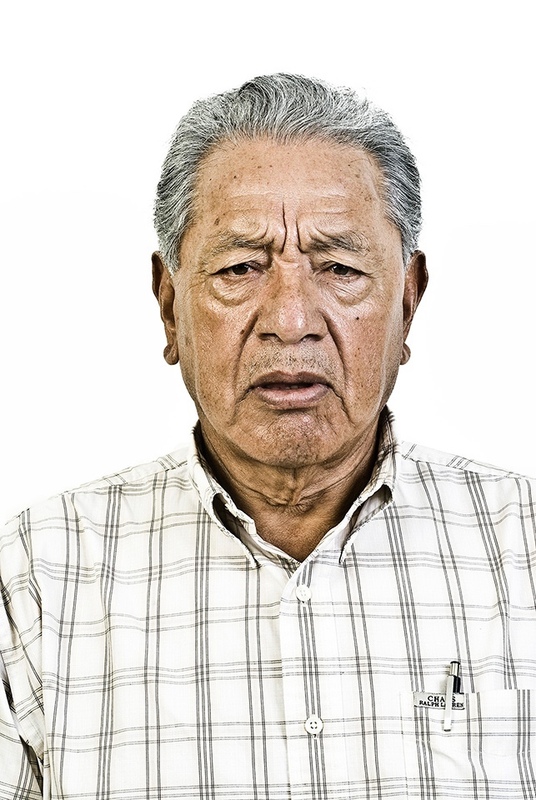 For many who believe that fate has dealt them a bad hand, petitioning your special saint for health, a job, or help in personal affairs – legal or illegal, moral or immoral – is as Mexican as, well, drug cartels and tacos. Bordo Poniente, located on the eastern side of Mexico City, is one of the largest open-air garbage dumps in Latin America. At one point the government wanted to shut it down, but the many people who work there, in danger of losing their job, began some large protests that disrupted city comings and goings. Keith got permission from the head of the union to talk with workers, film their work, and take photos of the workers and activists. 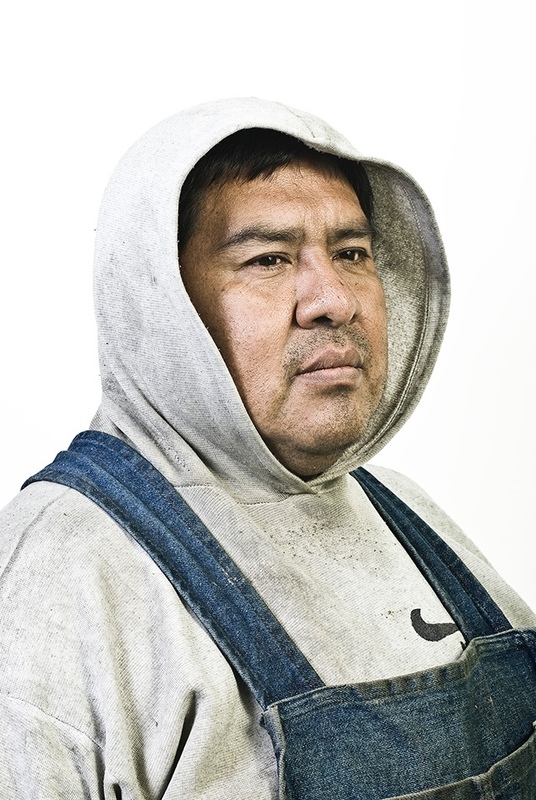 Wanting to highlight the workers’ faces and clothing, Keith did a series of portraits just outside the office, in a tiny meeting room: white background, two lights, nothing fancy. 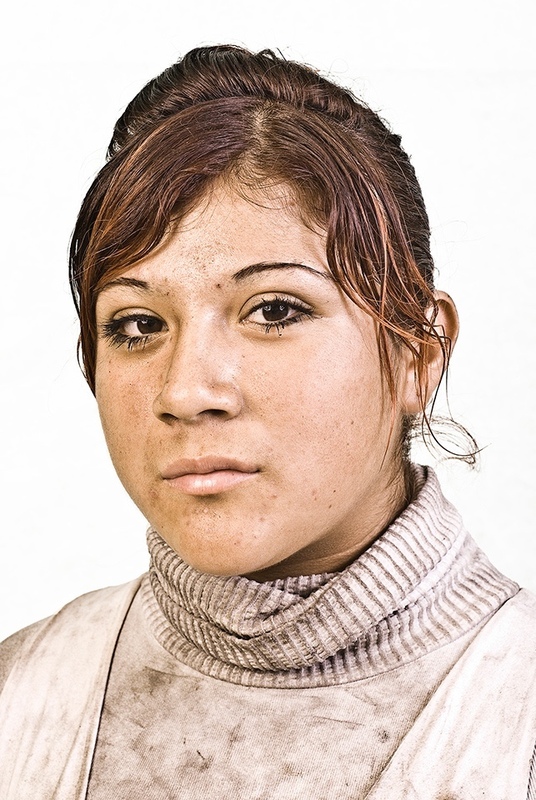 Keith says, “I shot this portrait project as an adjunct to a more photojournalistic one on the then, imminent closing of this big dump site where they worked, the Borde Poniente. 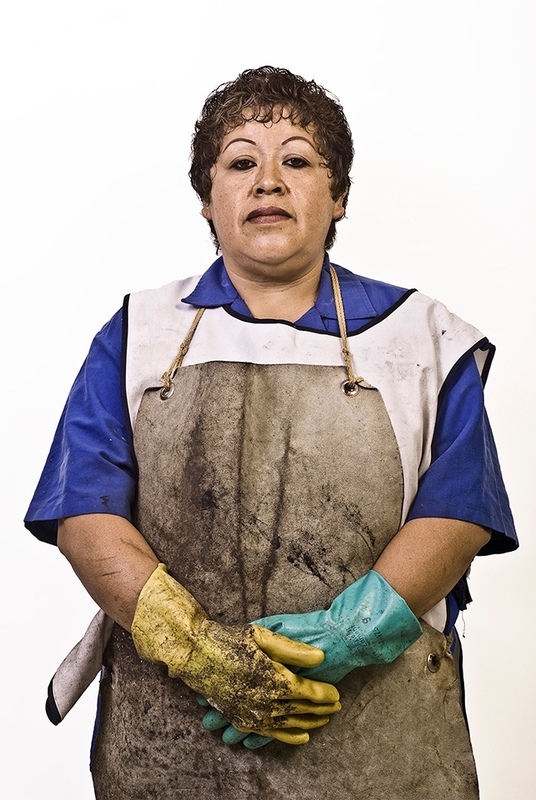 These men and women worked at the Bordo Poniente (Western Edge), which closed permanently on December 31, 2011. The long-standing tradition of the ‘pepenador’ in Mexican society is slowly disappearing, but more importantly, some 1,500 laborers were put out of work. 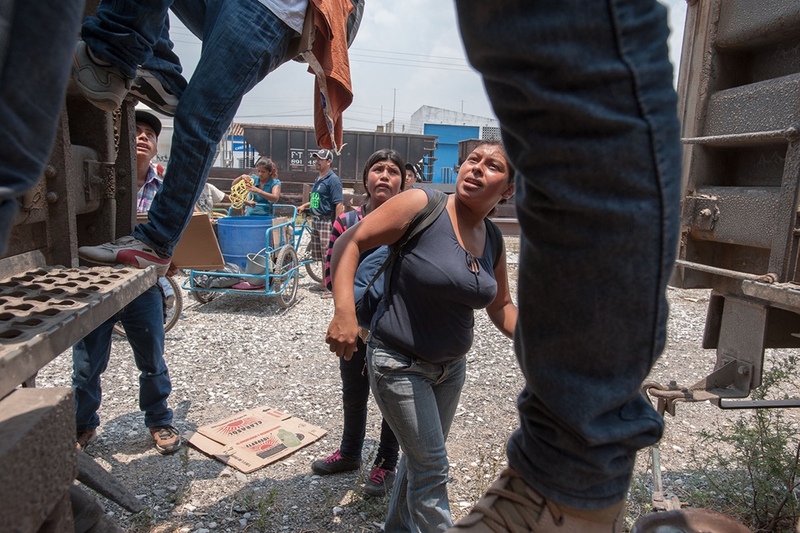 “It is an encounter with a group of ‘pepenadores,’ garbage separators, who spend their day picking over and recycling some four thousand metric tons of refuse out of the thirteen thousand generated each day by the megalopolis that is Mexico City. A sufferable job, but one that has nonetheless sustained generations of families. “For me, this project presents the possibility to discover directly something of the lives of this rather recalcitrant, closed group. 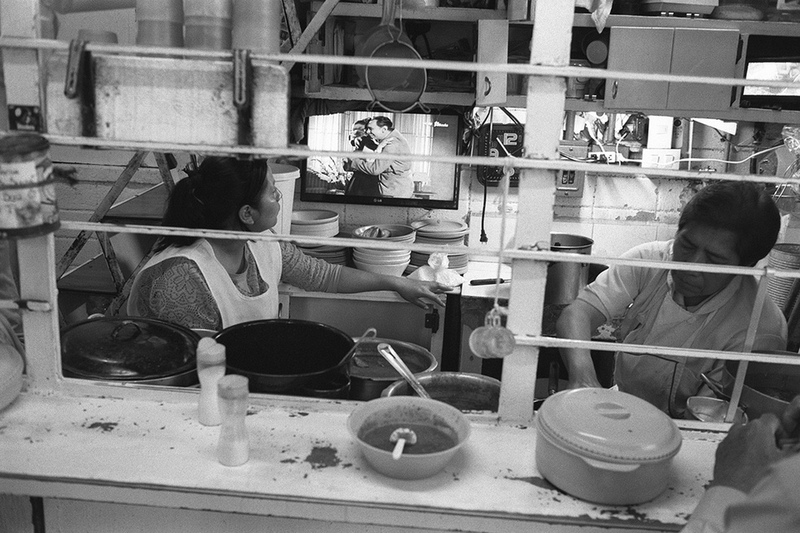 They operate on their own, with tenuous ties to city authorities and outsiders. But the fact that they represent an outmoded work model places them in an extremely vulnerable position. Asked what they plan to do when left without a job, most have no idea. 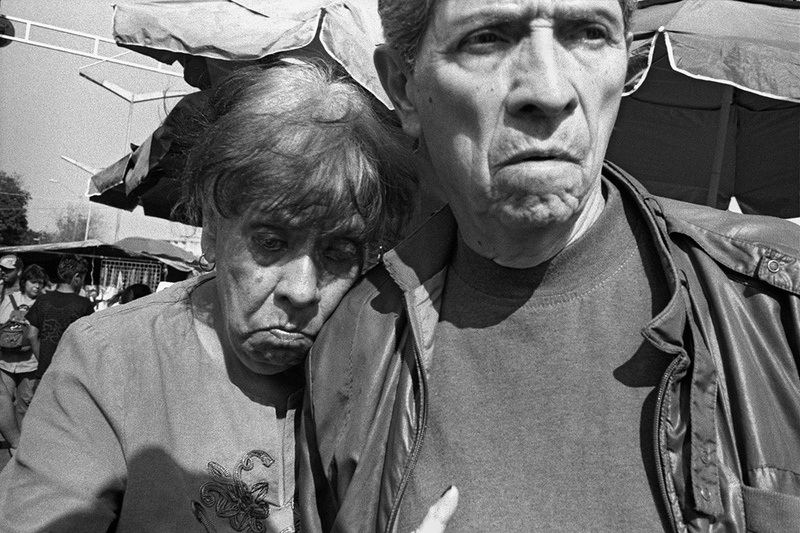 “For me, making portraits of the ‘pepenadores,’ like other groups I’ve chosen to photograph, (Pachucos y Rumberas, Boxeadoras), is analogous to the art of cutting for sign. This is the work of a sign cutter or tracker who searches for details, makes note of what he finds and creates a plausible narrative that helps to interpret what he’s seen. The process is the search. The end is the understanding. I want you to see clearly and directly the visual information I’ve gathered and presented, but I also want you to have the possibility of creating your own narrative. Most of these photos were taken in 6-7 hours in one day. It was a stroke of luck that allowed Keith to capture these images. 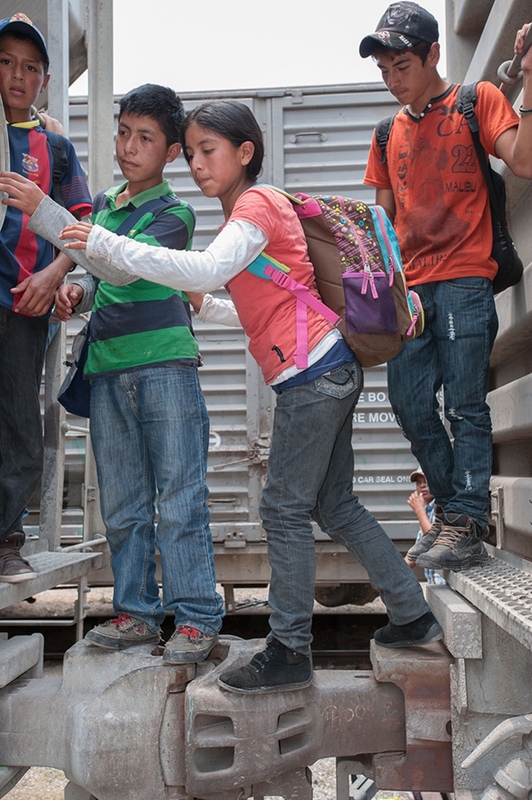 The migrant’s train, La Bestia, has a reputation for never leaving on schedule. People wait hours, even days, close by the train and at the first indication of movement, people run out and get on it. That day it was a sweltering 37-39 degrees (about 100 degrees Fahrenheit). 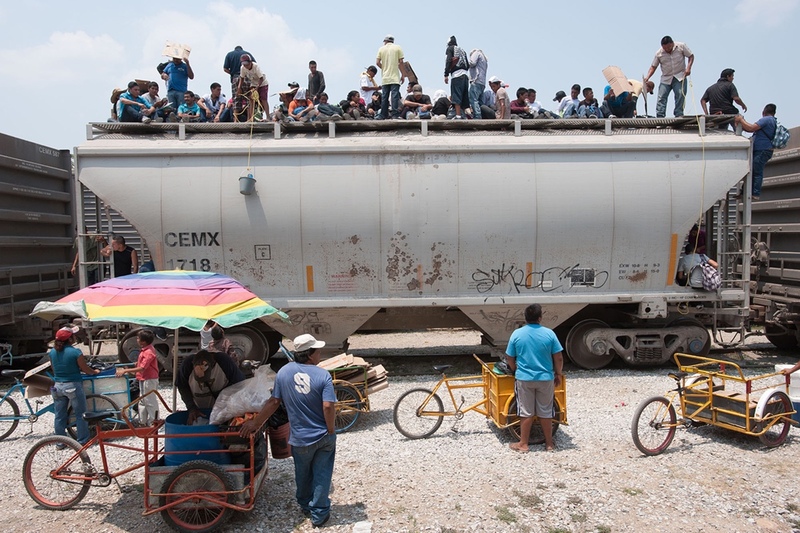 Some people sat atop the train, holding their place, some baking in the heat for more than 10 hours. 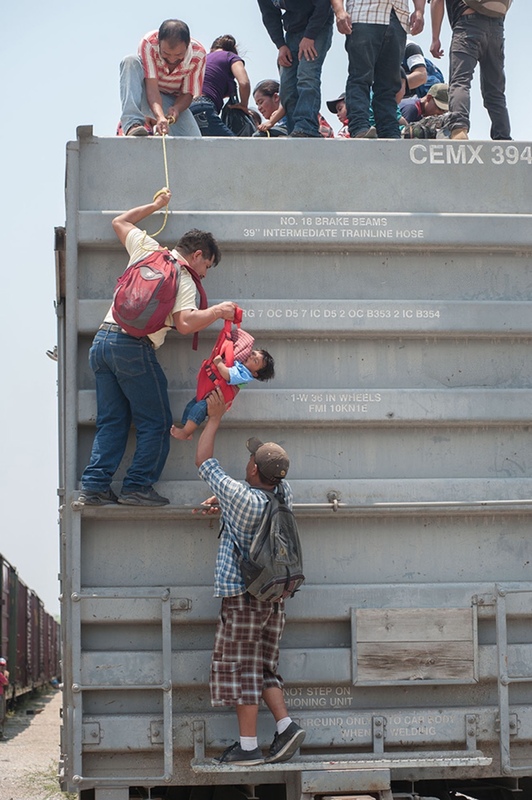 Many passengers were small children and babies, sitting on top of La Bestia for a trip that can last days or even weeks. La Bestia itself has quite a story. 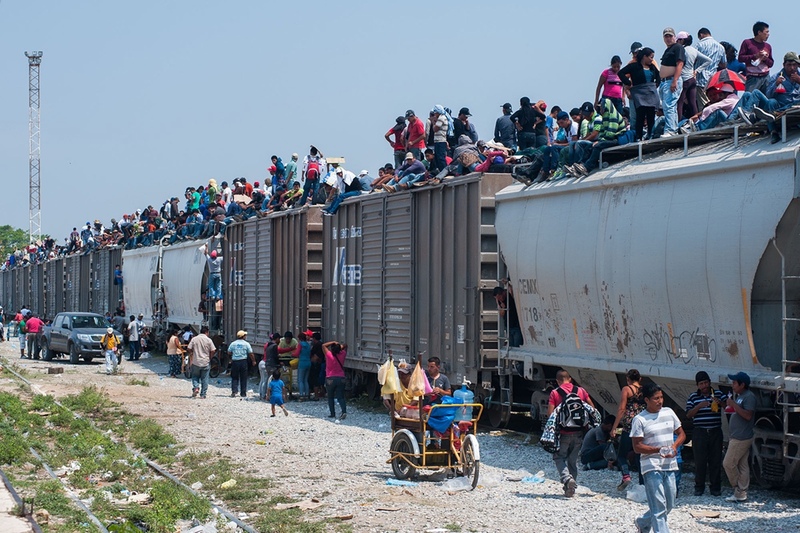 Ultimately, the US government forced the Mexican government to stop these sketchy train migrations through borders. Now, migrants walk or take buses. 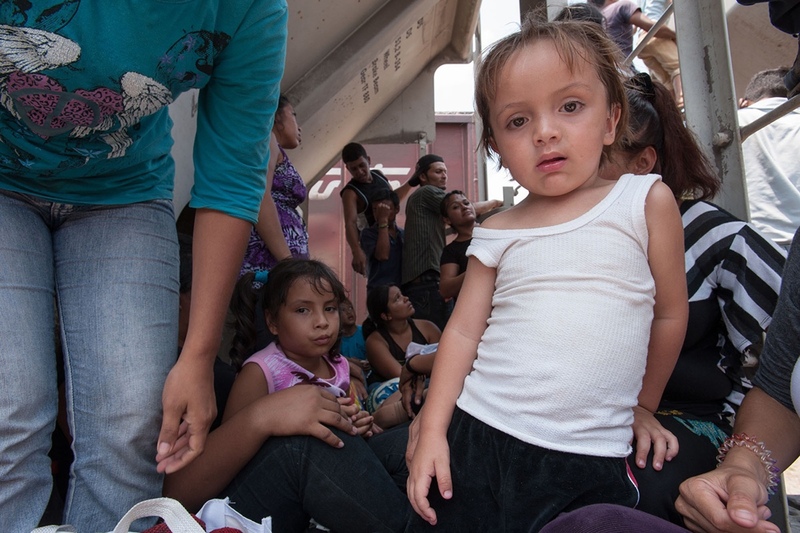 After documenting this event in the summer of 2014, Keith feels that most people from Central America classify as refugees rather than migrants, as they were forced to flee from their countries in many cases because of violence, persecution, war or discrimination. “And I think that because I had never encountered such a scene anywhere before, the images were abundant. 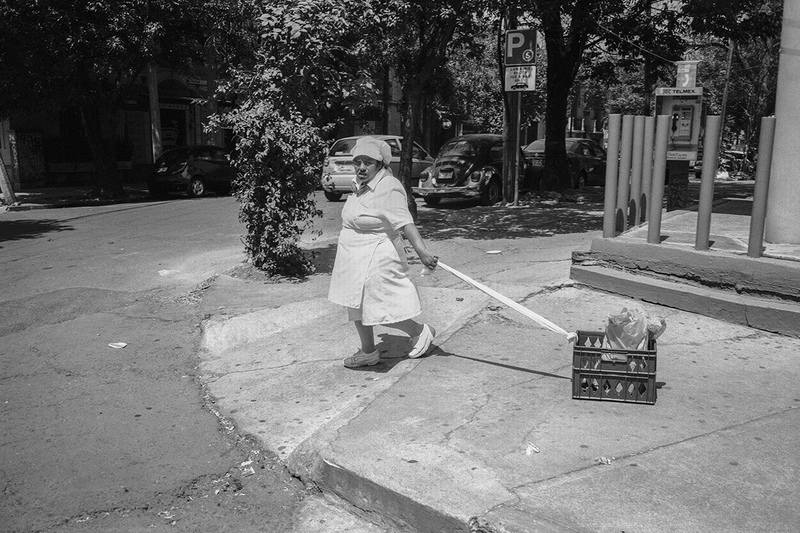 They were easy to make, photographically speaking, but it was difficult to look at women, babies, young kids, whole families making their ways up the ends of the cars with a backpack, a bottle of water and a piece of cardboard. The babies and kids who couldn’t make it to the top on their own had to be hoisted, pushed or carried. 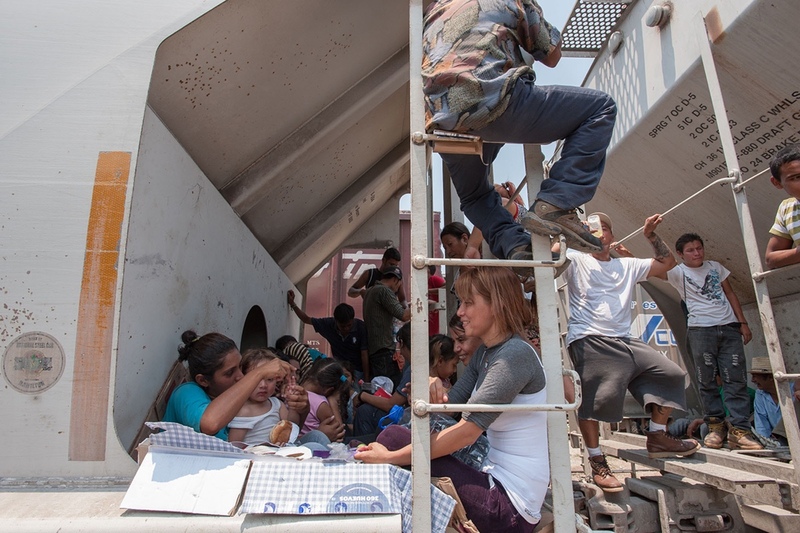 Teens and pre-teens in groups of four or five, lent a hand to each other on the ladders. I couldn’t help thinking that maybe just last week they were doing much the same, but while hanging around a jungle gym at school. Keith Dannemiller was born in Akron, Ohio and educated there in Catholic elementary and high schools. He graduated from Vanderbilt University in Nashville, Tennessee with a B.A. in Organic Chemistry. 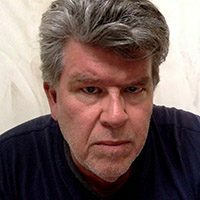 In 1976, after four years in San Francisco, he moved to Austin, Texas where he worked for The Texas Observer, Third Coast and Texas Monthly. 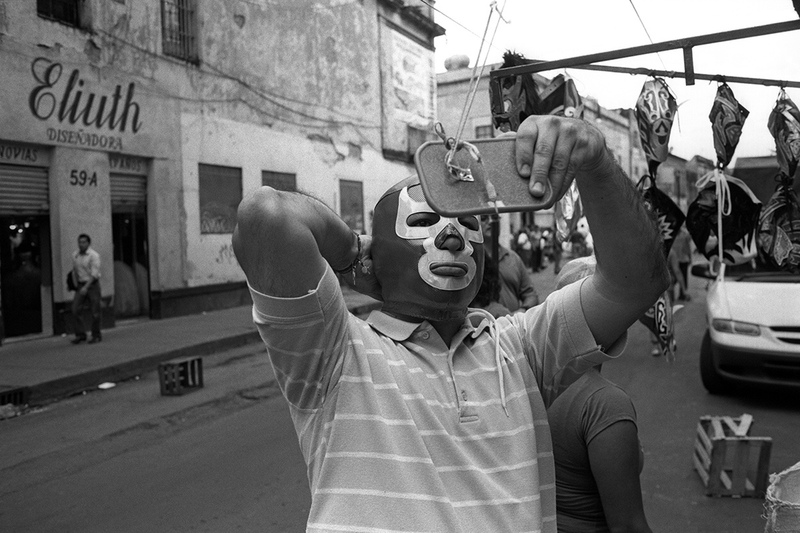 While living there, he began the first of many photographic trips to the north of México, in the area around Espinazo, Nuevo Leon, where he documented the festival of the Niño Fidencio, a folk saint renowned in México during the 1920's. In 1987 he decided to live and work in México. 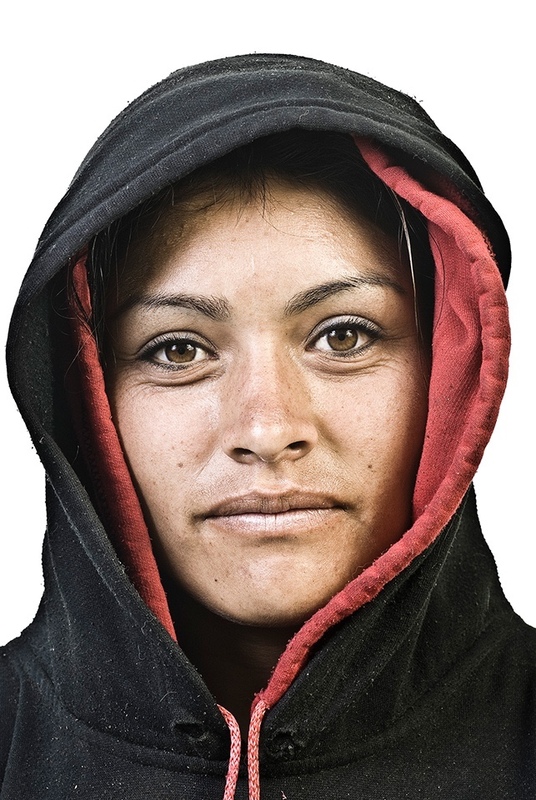 A relationship that began with the Mexican photo agency Imagenlatina in May, 1987, resulted in two trips to the Middle East (1988 and 1989) to cover the Palestinian Intifada. While currently independent, during the past 29 years he was associated at different times with two US photo agencies: Black Star and Saba Press Photos. In Latin America, he has covered a wide variety of situations, ranging from Nicaraguan recontras to street children in México City to life on the US-México border. 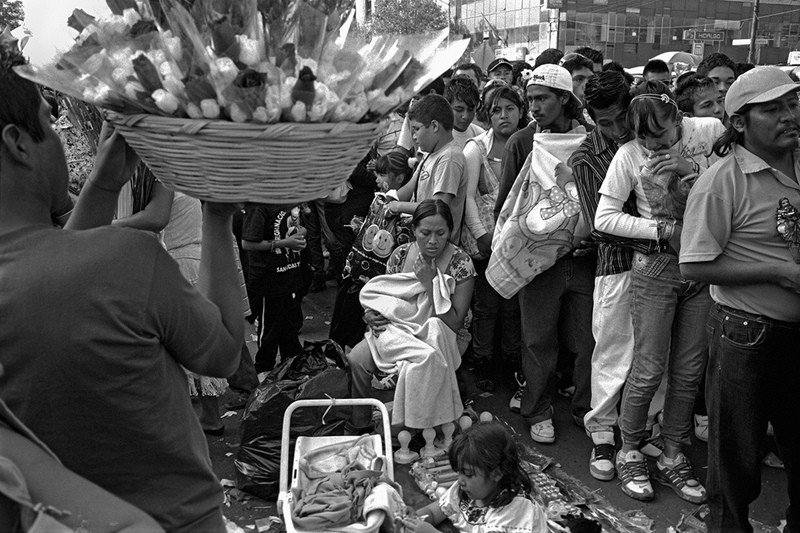 A recurring theme in his personal work is the effect on the country’s rich traditions when Mexican society is constantly reshaping itself. 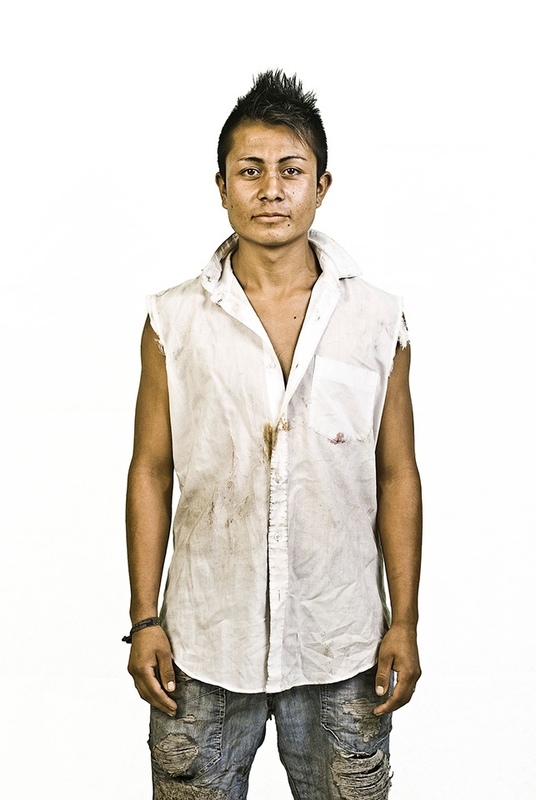 Visual projects that have captured his interest include: a fundamentalist sect that uses exorcism to deal with social problems; portraits from the streets of Mexico City's Centro Historico; Danzón in public parks; the modern syncretic rituals associated with the growing cult to the Catholic saint, Jude Thaddeus; the struggles of Central American migrants in Mexico enroute to the United States; and currently, the effects of drug violence on the internally displaced persons of the southern Mexican state of Guerrero. 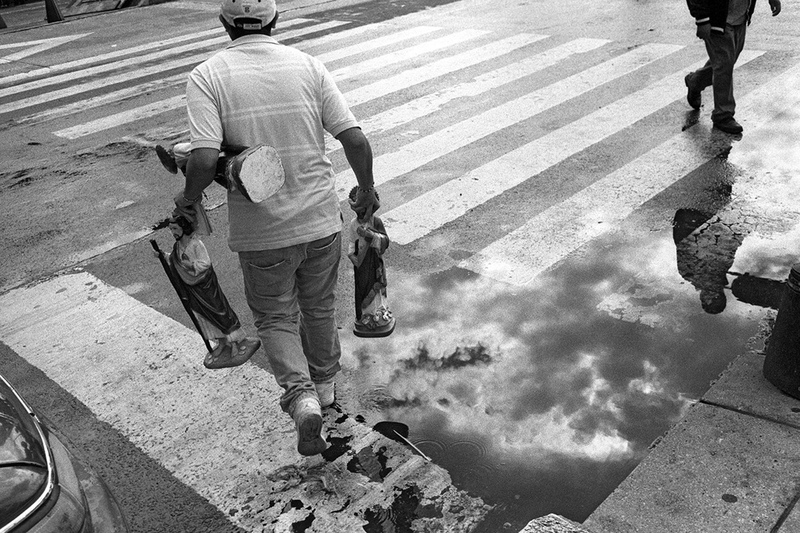 His most recent book, Callegrafía, is a look at the intimate strangers who move through the streets of the Centro Histórico of Mexico City each day. He lives with his wife and son in the Colonia Condesa of Mexico City.